As seen in the High Point Enterprise on June 12, 2018. HIGH POINT — When you step inside the headquarters of HP365, you might think you’re in a typical downtown showroom. But the new entrepreneurial center and co-working space is being designed to function unlike any other type of furnishings venture in High Point, or anywhere else for that matter. 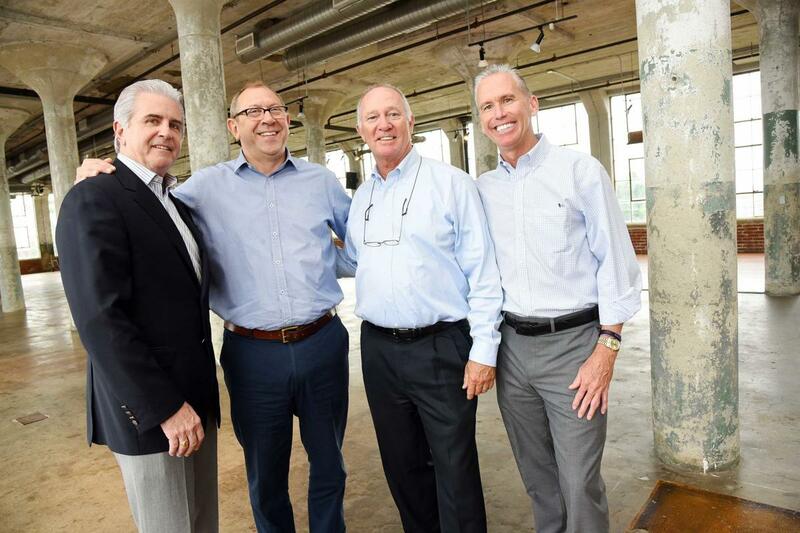 HP365 will provide year-round work space, access to equipment and expertise for small businesses and start-up ventures inside a 100,000-square-foot historic former hosiery mill at 410 W. English Road next to High Point’s downtown stadium. HP365 was the brainchild of Business High Point-Chamber of Commerce. Chairman David Congdon bought the property, previously known as Union Square, through his private foundation in March for $4.5 million. A $1.5 million state grant being matched with private money raised through the BHP Chamber board will help fund operating expenses and capital improvements to the building. President and CEO Patrick Chapin said the fundraising is nearly finished. HP365 now operates the special-events area on the upper level that has long been a popular spot for weddings and other events throughout the year. Parts of the upper floors will be converted into co-working space that can accommodate a wide range of business ventures. “We will have accounting, advertising, web design, (information technology) — all these services you usually have to hire when you’re starting a business, we will have them here,” said Mark Norcross, chairman of HP365 and a 42-year veteran of the furniture industry. Branscome said he hopes to have 200 members at HP365 by the end of 2019. A monthly fee will get members access to a materials library with thousands of samples and a 3-D printing facility, as well as seminars and workshops. HP365 also will be able to serve customers like designers and architects who are doing business outside the two weeks of High Point Market. “The customization lives year-round,” Branscome said. A suite of guest rooms on the upper floors to accommodate business travelers. A cafe and retail space open to the community on the ground level. Enhancements the special-events area to host private business gatherings during the week. “It is very exciting that we are repurposing a historic mill and launching the first project in the revitalized downtown,” Chapin said. As HP365 continues to develop, be sure to check back for more updates.